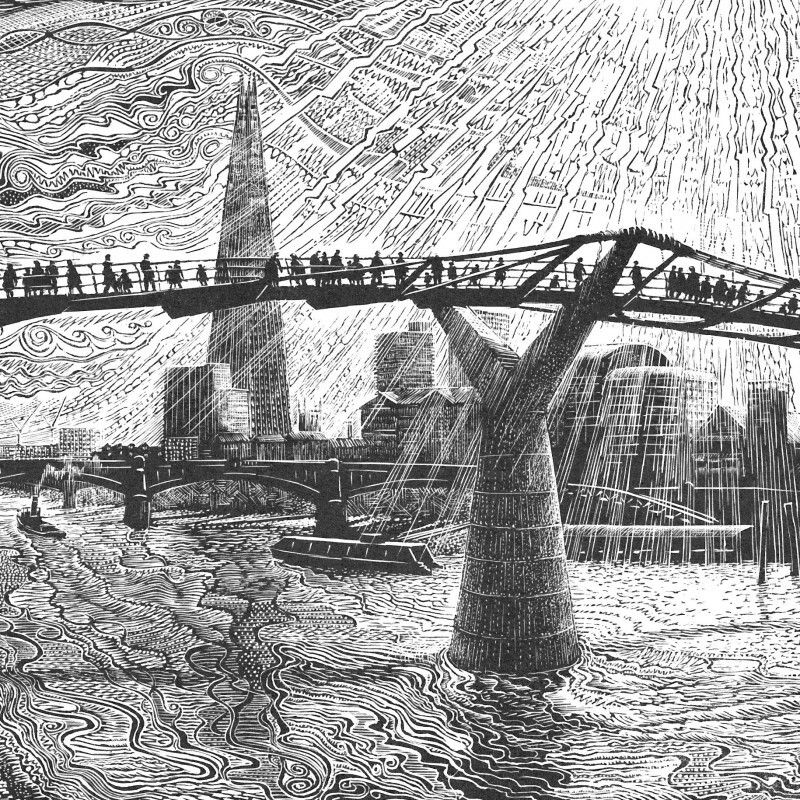 John Bryce is much influenced by the effects of light as it occurs in the sky, on buildings and on water. In his recent wood engravings he tries to depict this and to apply his engraving tools to cut a variety of marks on the block to express the drama and mood of an experienced event. He admires (and tries to emulate) the works of Gertrude Hermes RA, RE who so skilfully employed a vigorous technique in her wonderful and powerful wood engravings.